Why Should You Apply for Social Security Disability Benefits? "Why should I apply for Social Security disability benefits if my employer or insurance company is already paying benefits?" Thousands of disabled Americans who don't know the answer to that question are shortchanging themselves. And so are employers who don't realize the lack of Social Security qualification is costing them a larger share of their employees; disability benefits than necessary. Jim Allsup, president and CEO of Allsup Inc., a nationwide disability representation company, was asked to address this question. According to Mr. Allsup, disabled individuals need to know and understand the five specific advantages of qualifying for and receiving Social Security disability benefits-advantages that might not be available through an employer or an insurance company disability plan. Employers who understand these advantages and help their employees understand them will benefit as well. Long-term disability benefits or disability pensions from an employer or insurance company are generally not adjusted for inflation. However, Social Security disability benefits increase when Social Security cost-of-living adjustments are made. When the Consumer Price Index increases a certain percentage, Social Security benefits follow. However, the monthly benefit amount from an employer plan generally remains the same. If a disabled employee currently receives $1,000 monthly from an employer, 10 years from now that employee will still receive a $1,000 monthly payment regardless of inflation. Social Security disability entitlement "freezes" a person's Social Security earnings record. In other words, the time period during which a person receives Social Security disability benefits is not counted as time the person is employed. With employer or insurance company plans, this isn't the case. This is important because future benefits-Social Security retirement benefits, dependents; benefits or even subsequent disability or survivors; benefits are computed based on a person's average earnings during a period of time; for example, the past 35 years. If there were no earnings for a number of months or years because of a disability and that period of time is included in the calculation, the average will be lower and the benefit computation will be lower. Because Social Security doesn't count that period of time at all, there is no negative impact on the average earnings. This advantage is contingent upon how a premium is originally paid on long-term disability benefits. For example, if a person pays the premium during working years out of post-tax dollars, then the long-term disability benefit is not taxable when received. If a person did not pay the premium (but was paid by another source), or if the person paid the premium out of pre-tax dollars, then the long-term disability benefit is taxable when received. In addition, 50 percent of a Social Security disability benefit is also taxable. Only 25 percent of today's employers offer extended health care benefits to their employees and most employers only offer COBRA protection on disabilities. COBRA legislation mandates that an employee can purchase 18 months of health coverage when leaving a company. However, if a person qualifies for Social Security disability during the first 18 months of COBRA coverage, an additional 11 months of COBRA can be purchased. So, obtaining Social Security disability can provide a person with health care coverage for up to 29 months after a disability occurs. When Social Security approves a person's claim for disability benefits, a determination is made as to the likelihood that the person's medical condition will improve. If a person's condition improves while participating in a vocational rehabilitation program, that is likely to assist the person in becoming self-supporting. Social Security benefits may continue until the program ends. If medical improvement is not expected, a person will be eligible for a trial work period. This trial allows a person to return to work with no restriction on earnings for up to nine months. After this period of time, a grace period of three months is allowed, during which the person can continue to work, while his or her individual case is evaluated. If the evaluation determines that the person is still disabled, that person can receive a Social Security disability monthly check if there's any month during the next three years in which he or she does not earn $500 from employment. So what's in it for the employer? 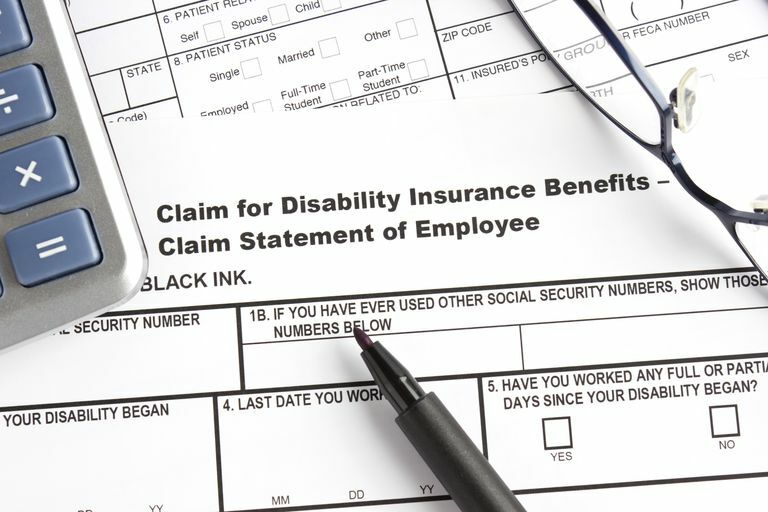 Employers should keep in mind that, when an employee qualifies for Social Security disability, the employer-paid disability benefit is reduced by the original amount paid by Social Security. (Cost-of-living increases are not factored in.) This offsetting effect assures that the cost of benefits is shared by the employee and his or her employer. That's the best way to assure that employers can afford to offer this benefit to future employees. What Is Competitive Integrated Employment?